There is a new trend in the world of professional golf: shorter drivers. I’m not referencing the actual driving distance, but rather the length of the actual club. Ricky Fowler and Jimmy Walker are two players who have reduced the length of their driver. If the some of the best players in the world are doing this, should your students do this as well? As golf teaching professionals, one of the most common requests from a student is the desire to hit the ball farther. From an amateur to members of the PGA Tour, everyone wants the distance. So why is shortening the length of the driver shaft a good thing? A few things occur when you shorten the driver shaft. It’s easier to hit the ball more solidly; with a shorter shaft, the actual strike should improve. Hitting the golf ball in the middle of the clubface, in the sweet spot, will improve the ball speed, plus give the correct spin rate. 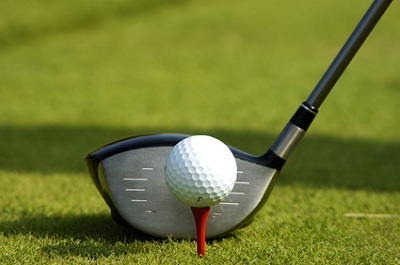 However, striking the ball off the toe or heel of the club decreases the ball speed and adds too much side spin. Lastly, one additional benefit for some players is that the arc of their swing shortens and they actually increase their clubhead speed. This isn’t something that happens for everyone, but it will for some players. If you can help your students strike the ball more solidly, they will gain distance. Hopefully with a more solid strike, their accuracy might improve, hitting more fairways. We all know a drive will roll out further in the fairway than in the rough. Cutting down a driver shaft from a half inch up to two inches will help a majority of your students. If they complain about losing distance, test the differences on a launch monitor. Good luck and happy teaching!